The Transformation Engine is the Brain of Enterprise Enabler (EE), making decisions and orchestrating all activities across the platform. To learn more, fill out the form and check your inbox. We will be sending your whitepaper shortly. Other companies typically require the data to be put in a speciﬁc native mode or relational format before applying their integration activities. They focus on data format conversions, as opposed to, validation, logical alignment, and manipulation of the data itself. These important steps must be done in a separate programmatic step. What Makes SBT's Data Transformation Engine So Unique? 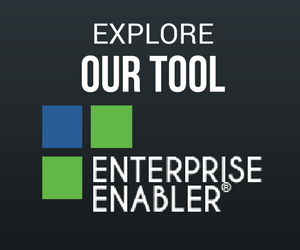 Enterprise Enabler® (EE) has the only transformation engine that makes all decisions and orchestrates all activities that is embedded in a single extensible platform, with rich capabilities to easily validate the metadata captured. Unlike legacy engines, EE’s transformation engine operates on data from multiple systems in real time and can apply many types of artificial intelligence (AI) algorithms. It does not require the data to be staged in either a physical or virtual database. Did we mention that the Enterprise Enabler® transformation engine drives the logical, physical, and semantic transformation of data as it federates live from multiple disparate sources whether it is a Data Virtualization, ETL, EAI, B2B, or API-centric? The reason this matters, EE users do little to no programming and deliver solutions faster. Not to mention you can also securely write back to sources via the virtual model. EE’s data transformation engine applies all mapping, formulas, validations, etc. as it federates the data from multiple sources (To learn more check out Agile ETL™). The Enterprise Enabler transformation engine operates on metadata instructions that are defined by the user using Enterprise Enabler’s drag and drop Active Integration Interface (Aii). The Aii hides all of the technical complexity behind the scenes, so that configuration is high-speed. 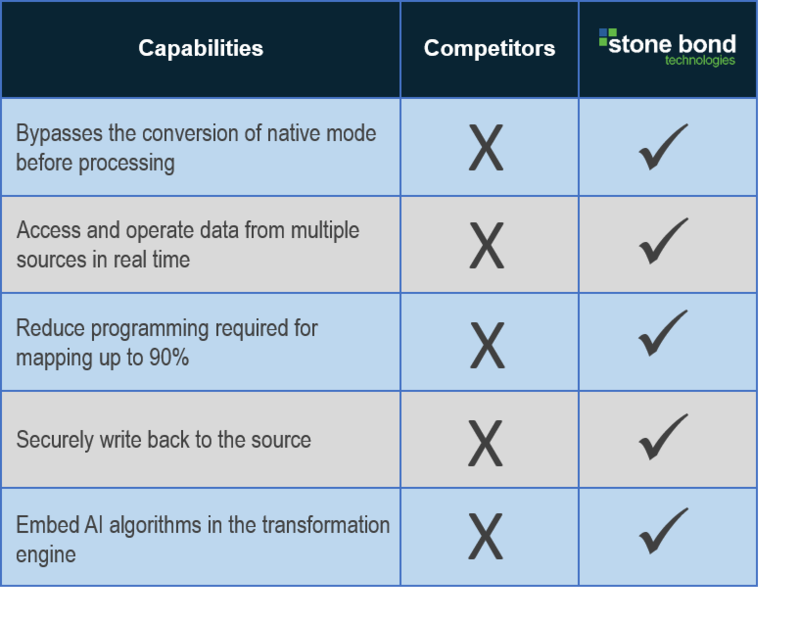 The Stone Bond development team is applying the latest innovations of our Enterprise Enabler® Transformation Engine kernel to the Query Optimizer. The results will bring additional valuable functionality, and will generate retrieval performance improvement 7X over anything currently available in the marketplace.